Visit us at any of our regular meetings and look us over as many times as you wish. If you like us and decide to join the club, talk to any of the “official” looking people and they will direct you to the right person. 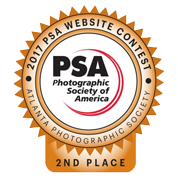 Pay by Mail: Make checks payable to Atlanta Photographic Society and post to this address: 4243 Laurel Brook Drive, Smyrna, GA 30082. If your check does not carry your home address and phone number, please include this information on a separate piece of paper. Also, please be sure to include your e-mail address since this is how we communicate with our members. E-mail Club Membership is available for $25/year. E-mail membership is for the digital category only. Upon your payment of $25 to the club you may use the APS upload Page to send up to 3 images per month at a size of approx. 1920 pixels max - long side, resolution of 300 pixels/inch, saved as a JPG with an image quality of 8 (High). The deadline for sending in those images is 12 midnight Tuesday before the competition day (see calendar on our web site). Your images will be entered in our digital category together with digital images from our regular members. The images will be critiqued and judged together. If any of your submitted images receive ribbons you will be informed by email. Any ribbons that you receive will be collected and sent to you by regular mail twice a year. All images that do not receive ribbons will be deleted from our database. Images that have received ribbons will be saved in our database and will automatically be entered in the master competition (digital category only) in November. 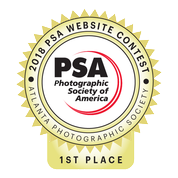 All winning images will be entered and judged by all members present and the members will award an additional “Best of the Year” ribbon for the winning image. Your payment of $25 includes the entry fees ($1 per category per month)—you will not have to pay these entry fees in addition to your $25. E-mail membership does not include any voting rights and it is for one person only. It does include eligibility for the “Rookie of the Year” award, which is given to the new member with the highest overall score at the end of the year, and the “Digital Photographer of the Year” award, which is given to the member with the highest score in this category at the end of the year. E-mail membership can be converted to regular membership at any time by paying an additional $5 plus the regular competition entry fees (regular members pay a $30 annual membership fee and pay $1 per category per competition). Visiting our meetings as e-mail member is always welcome, however, you will need to upgrade to regular membership to enter images in the Color and Monochrome print categories.